Today, I was working on an .scpt file in Script Editor.app, when, suddenly, Script Editor would not allow me to save the file. It was a seemingly random occurrence; I had not done something unique when the error surfaced. I had successfully saved this file in Script Editor dozens of times today. I then Quit Script Editor and double-clicked on the .scpt file in Finder, to open the file in Script Editor (which is my default application for .scpt files). 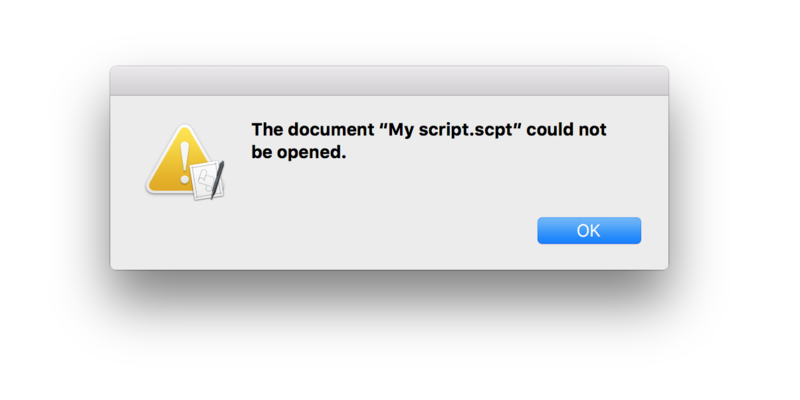 The document "My script.scpt" could not be opened. I can launch Script Editor and I can create a New Document. But, I cannot open an existing document. Creating a new document in Script Editor that contains zero characters. I can successfully save new documents in Script Editor, so I saved this .scpt file to my Desktop. But, after I closed the document window, I could not open the document in Script Editor. All of my .scpt files originated in (i.e., were created by) Script Editor. It may be important to note that I could open the .scpt files in TextWrangler.app and Atom.app. However, the solutions do not apply to my scenario. Short of re-installing the OS, is there anything that I can do to get Script Editor up and running again? Personally if it was me, I would run disk utility app on my system first.. Then I would reboot and see if that fixes the problem. If that did not fix the problem, I would then go to /Users/your short name/Library/Preferences/com.apple.ScriptEditor2.plist. <—- and delete that .plist file, then reboot and fire up the script editor app to see if the problem is fixed. You may want to make a backup copy of that plist file before you delete It. do shell script "defaults write com.apple.finder AppleShowAllFiles TRUE\nkillall Finder"
Not the answer you're looking for? 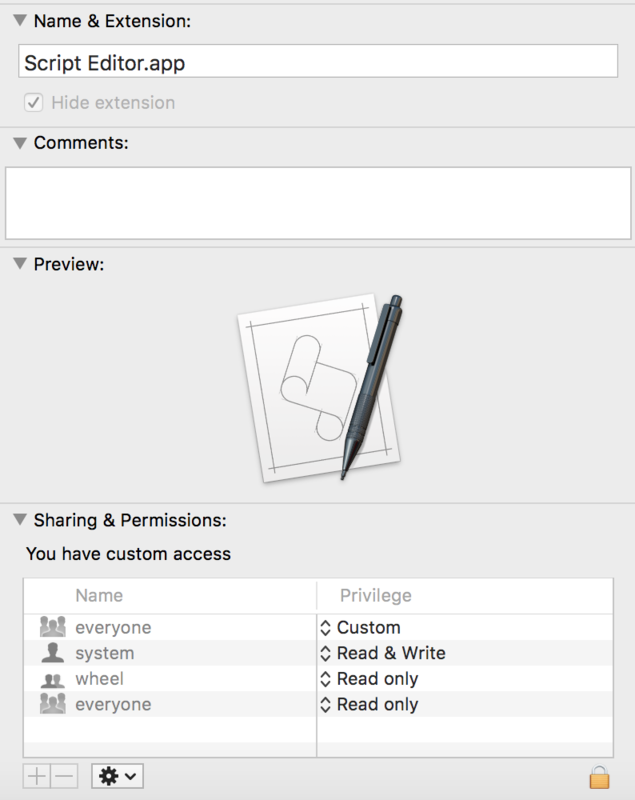 Browse other questions tagged macos applications applescript error .